Hickory golf is in a period of resurgence worldwide. 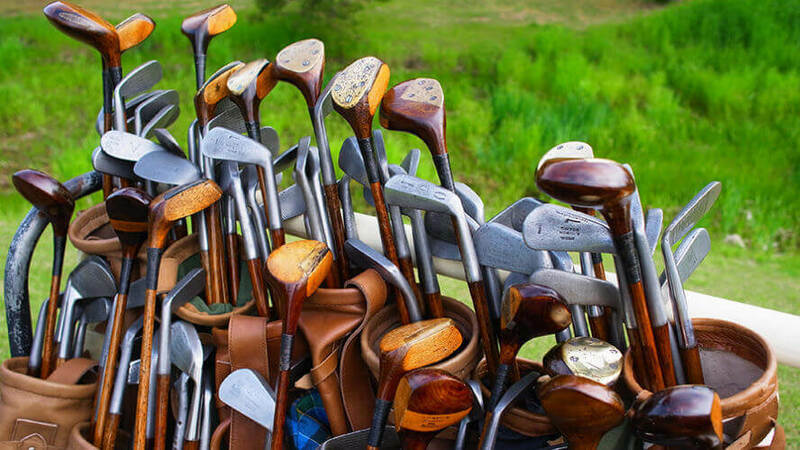 Many golfers enjoy playing with the original hickory shafted clubs, helping them rediscover the fun of the game. 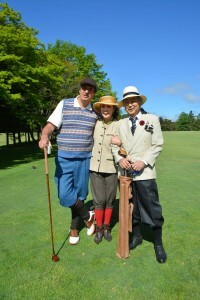 Both male and female players, of all ages, enjoy the grace of hickory golf and the elegant fashion of the early 1900s. 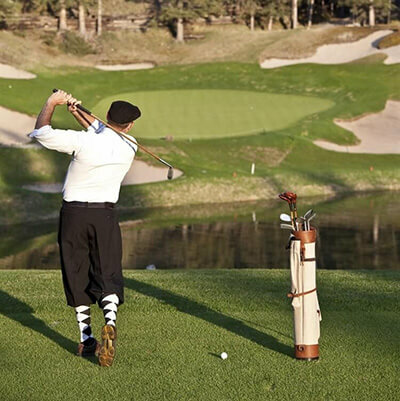 The main reason to play hickory golf is to bring fun back into your golf game. 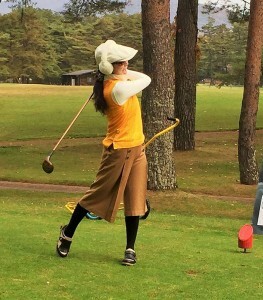 The modern golf game can be very technical; it is refreshing to switch to hickory golf and experience the pure sound and delight of a well-struck golf shot. 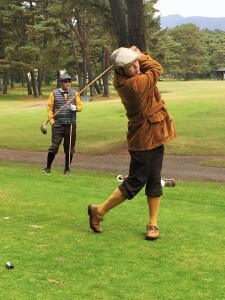 The golf clubs made over 100 years ago are as long and accurate as today’s clubs. 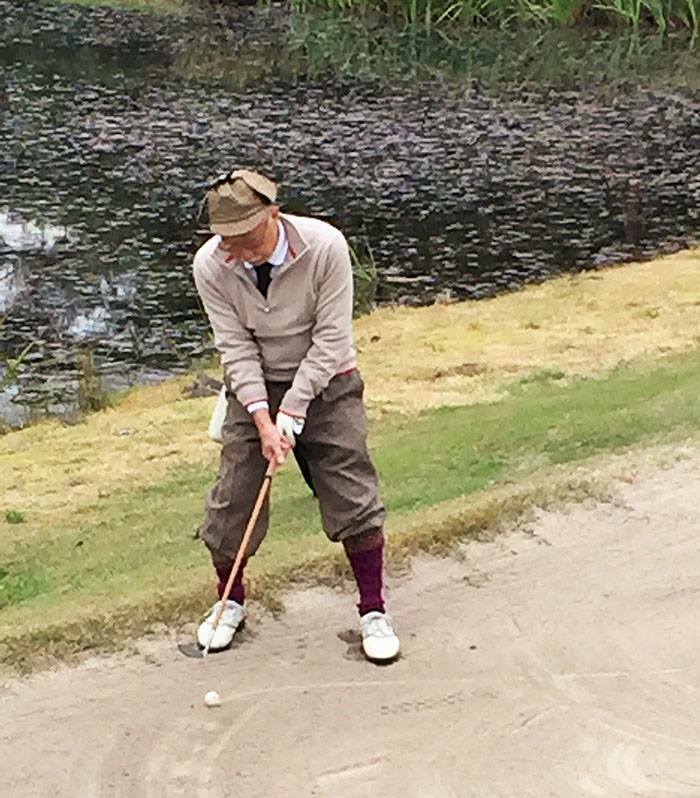 We play using vintage style golf balls, reducing the shot distance by around 15%, which makes the golf courses more interesting and challenging. 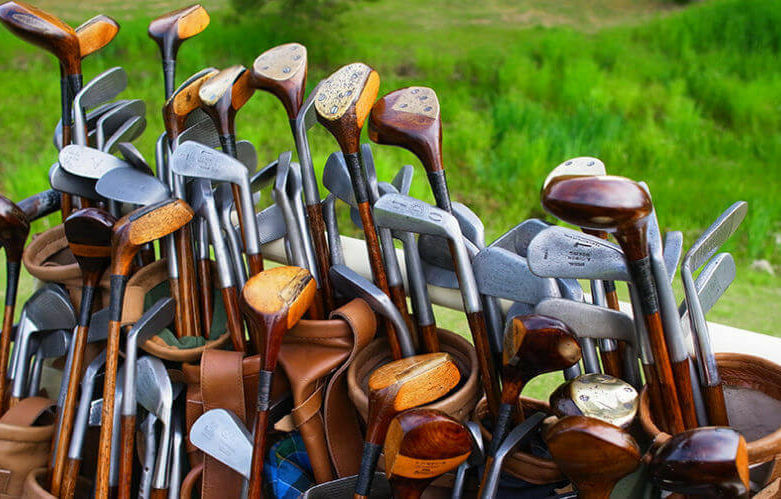 A typical hickory golf set has 6 clubs; one wood, four irons, and a putter. 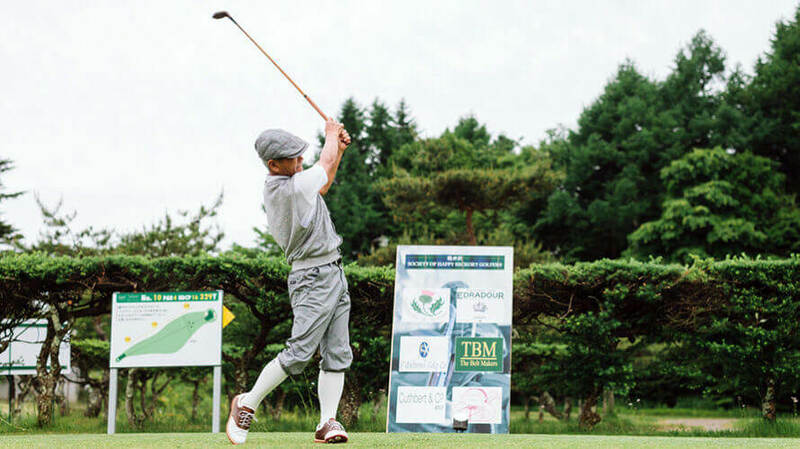 You must adjust the distance of your shots in the weight of your swing, and use the shape of the course to bump and run your approach shots onto the green. 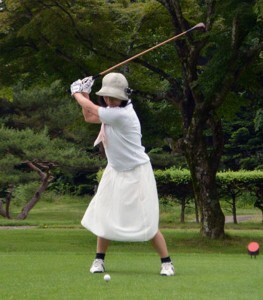 Most people have a little expectation when they first play hickory golf. 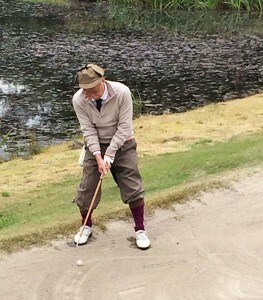 A poor shot is not too disappointing and a good shot is exhilarating and rewarding. 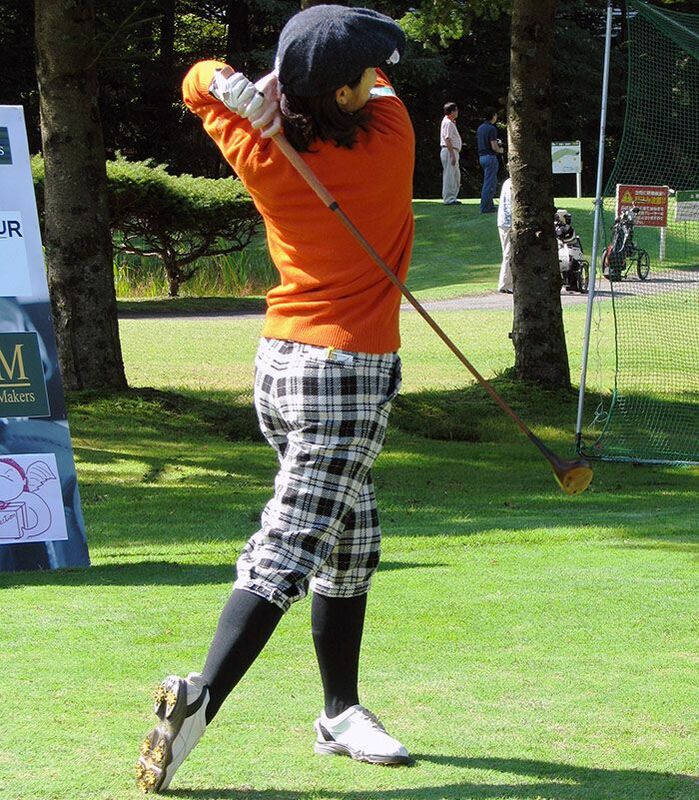 The hickory clubs require a smoother swing to work well, which encourages you to slow down and find the right rhythm. 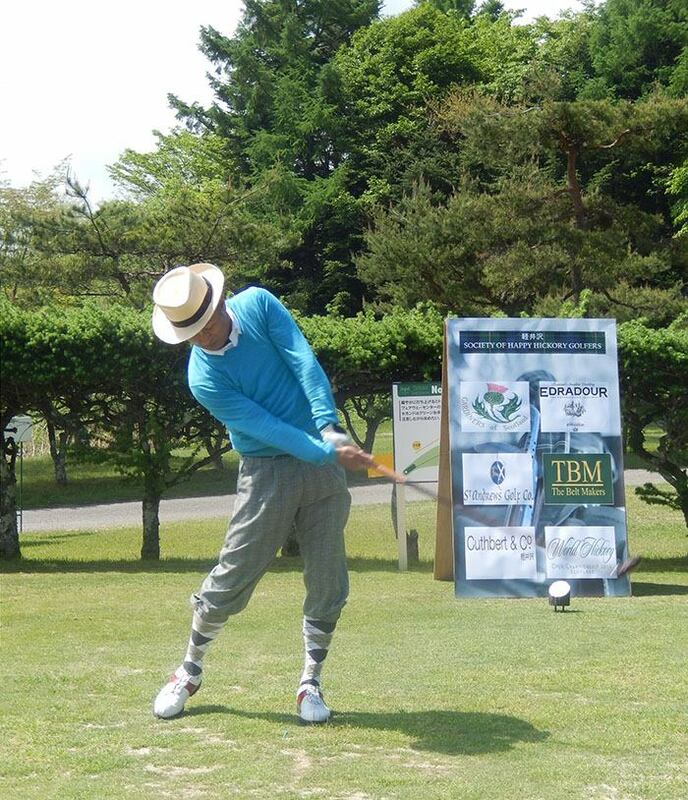 This helps improve your tempo and your overall golf game. 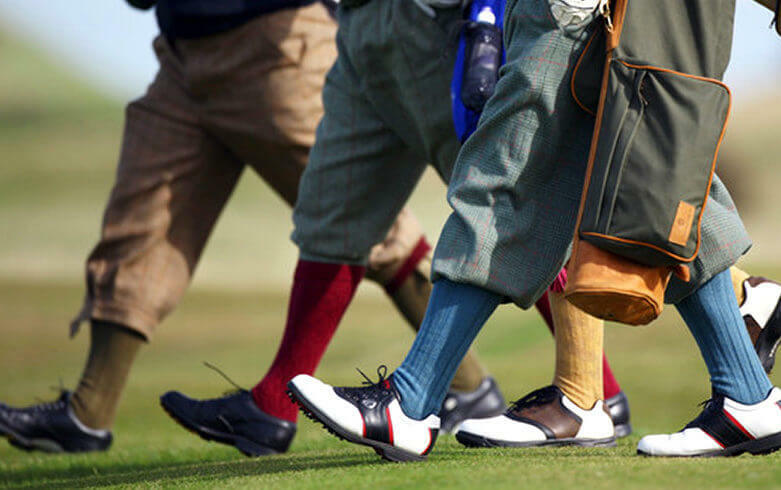 The former Open and Masters champion Sandy Lyle won the 2016 World Hickory Open at the Panmure Links Golf Course with a score of 67 and 71 over the two-day event. Our goal is to spread the joy of hickory golf and vintage fashion. 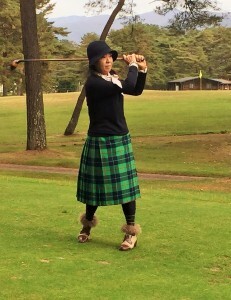 To offer a way for us all to expand our skills, knowledge, and enjoyment of golf. Whether it be a fun game with friends or a competitive event. Most of all we hope to expand our group of friends and enjoy the social side of hickory golf. 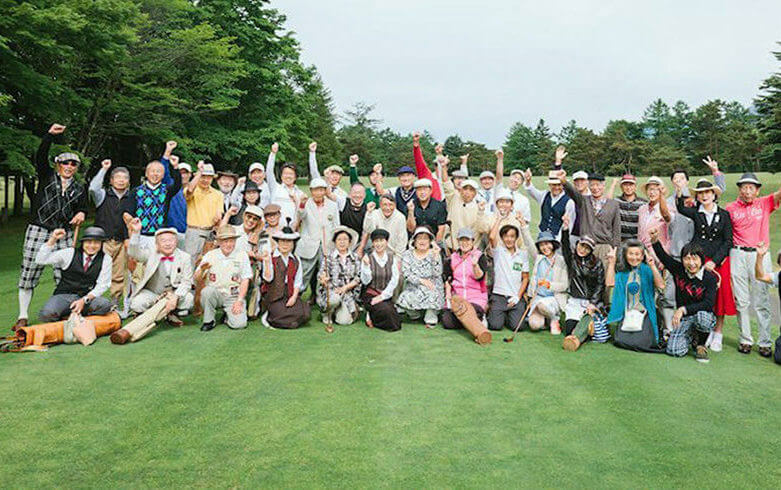 Please join us one day and let’s play some hickory golf – you meet many nice people playing hickory golf, laughing at the poor shots and celebrating the good shots. 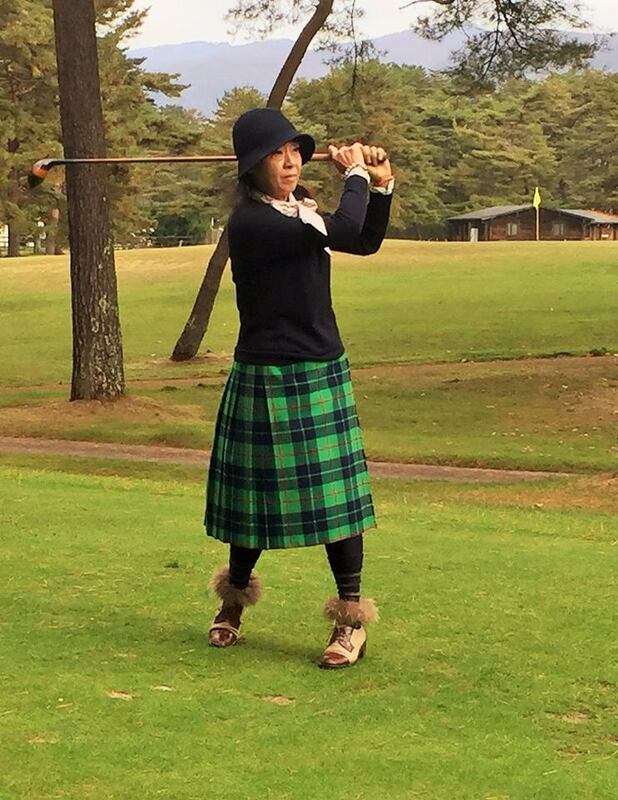 If you have your own hickory golf clubs, you can play on any course in Japan. The best courses to play are the classic courses, where the bunkers are driving distance from the tee box and you must use the shape of the course to bump and run your approach shots onto the green. 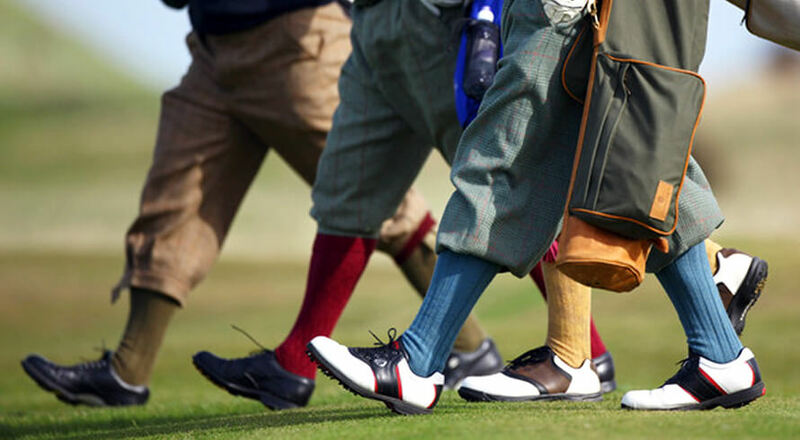 Playing a classic course with clubs designed in the same era, re-introduces the ‘feel’ of the swing back to the game. It brings the trickier classic courses back to life and allows you to play them the way they were designed to be played. There are many ways for first time hickory golf players to try hickory golf. 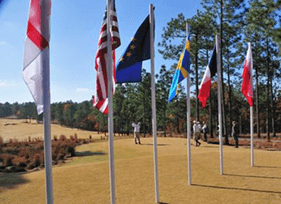 You can join a hickory golf events, or visit a golf course that offers a hickory golf rental package. The event and golf course rental packages include the hickory golf rental set, balls and greens fees. An alternative is you can rent hickory golf sets directly from us (Cuthbert & Co) and play on your favourite golf course, or rent a few sets and make your own hickory golf event. 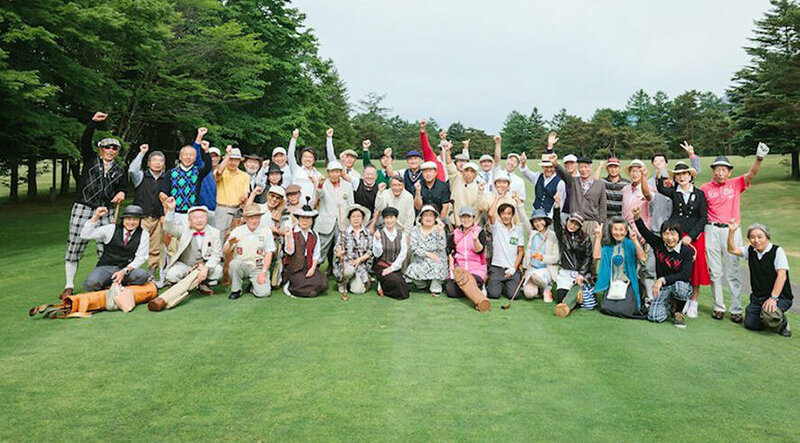 For the more competitive golfers, you can join the Japan Hickory Open events. 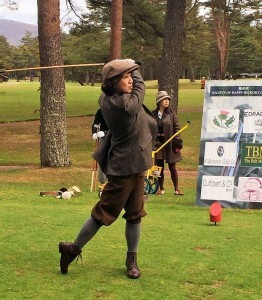 You can also join competitive events overseas – such as the annual World Hickory Open in Scotland. We take a group of golfer friends to the World Hickory Open every year. The above options are explained in the links below. 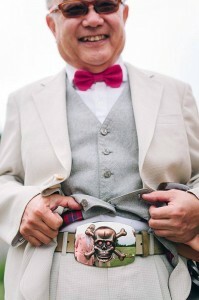 If you have any questions, please give us a call at 0267-42-4413. Hickory golf has attracted a wide range of players who enjoy the natural feel of the golf clubs and the glamour and romance of the fashion. The better golfers say they play hickory because it helps improve their regular golf game. 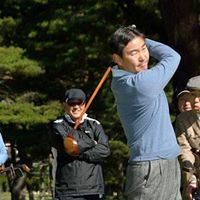 They say that the simplicity of the wooden shafted clubs encourages them to work on their tempo and find re-discover a natural rhythm to their swing. Playing with only four irons encourages them to practice their swing weight and be more creative with their shots. 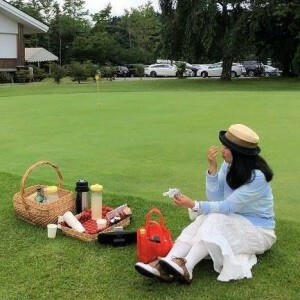 Other golfers play for the fun and social side of hickory golf. 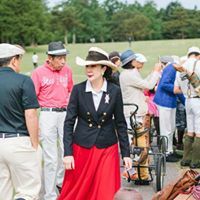 The fact that you are stepping back in time encourages you to dress up in vintage fashion and enjoy the overall experience. The fact that you are playing with wooden shafts takes the focus away from your score and more on the people you are playing with. 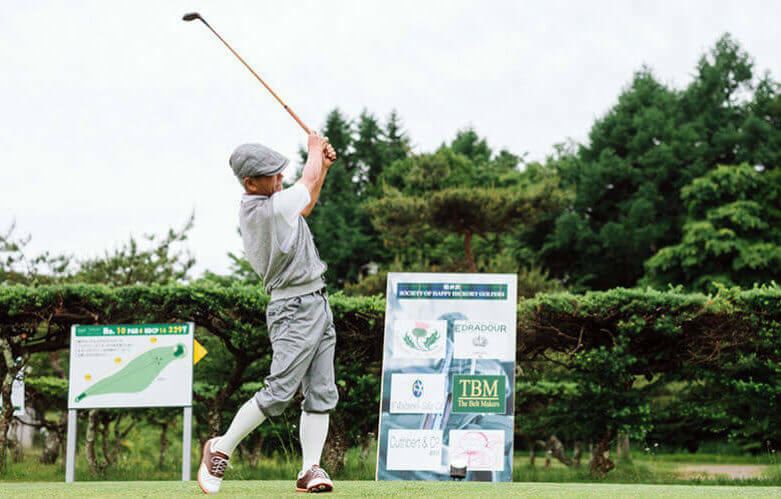 Most golfers encourage each other to play well; they laugh together when they hit a bad shot and celebrate together when they hit a good shot. 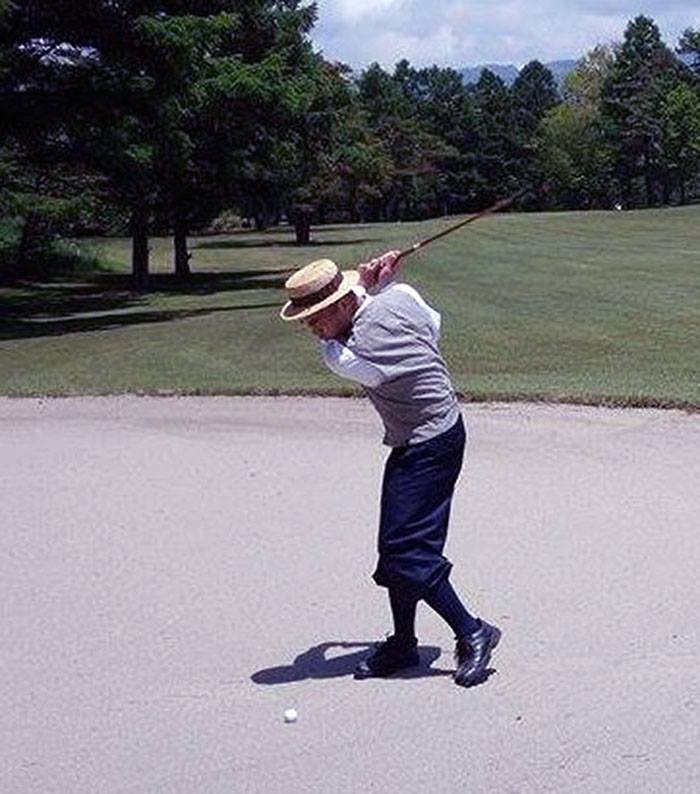 Everyone will hit one or two great shots when they play hickory golf; the sound and feel of a pure strike with a hickory club is a feeling you will remember for a long time. 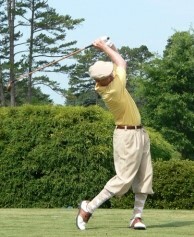 You will find that most hickory golfers have a keen interest in increasing their knowledge of golf. 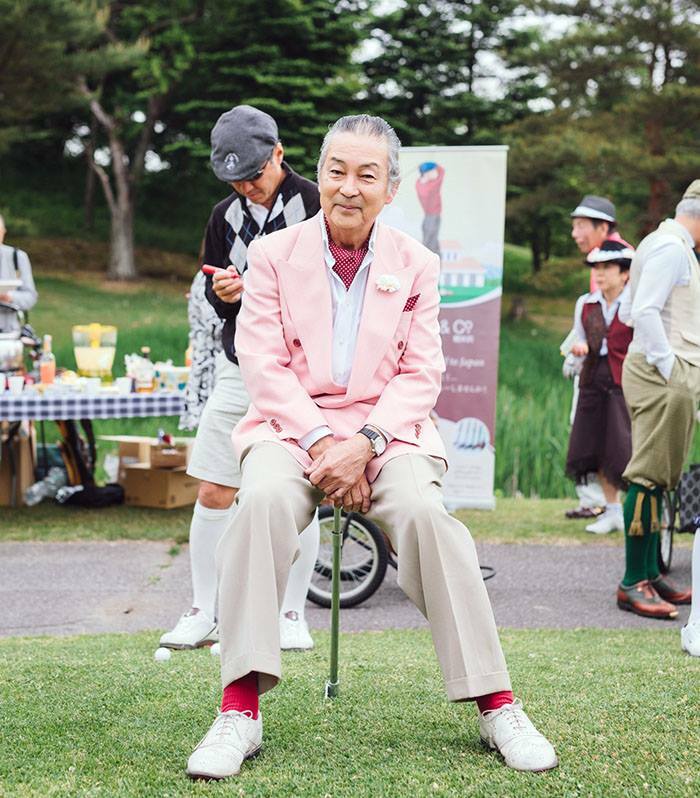 They want to know more about the people who designed the courses, the people who made the early clubs and balls, the colourful personalities of the players and the elegant fashion on the golf links. They are curious to know more about the people they are playing with. When we play at events we use a points system to mark our scorecards. It is 1 point for a bogey, 2 for a par, and 3 for a birdie. We don’t mark anything above a bogey, we just put a ‘smiley’ mark on the card. It’s not about the score; it’s about friendship. We believe that it’s fun to dress up in vintage fashion when you play hickory and modern golf. 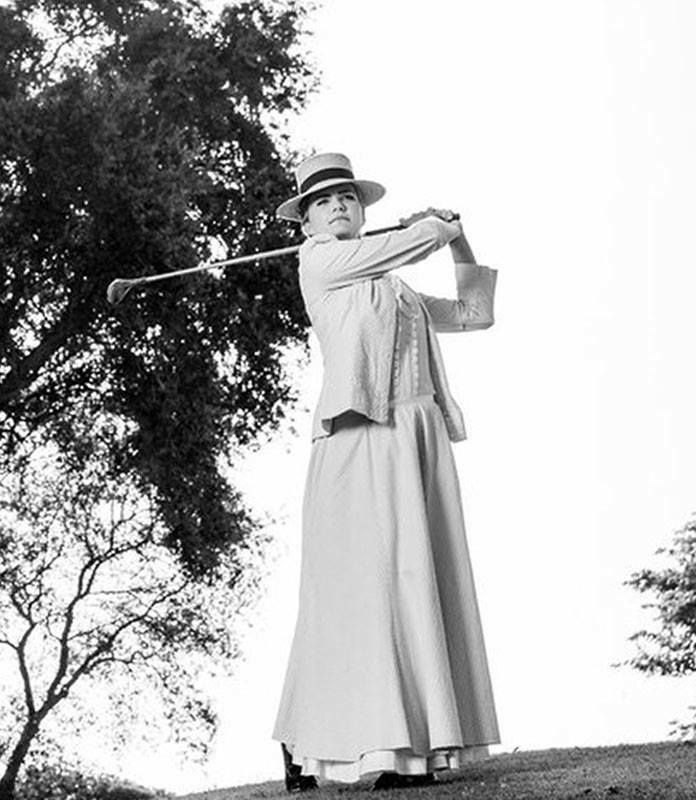 The early 1900s was a very stylish and glamorous period for golfers on and off the course. The elegant fashion they designed and wore is timeless – it looked great then, it looks great today.